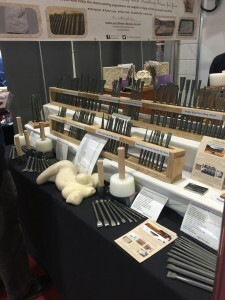 We recently attended the Natural Stone Show in London – it was a great day of exhibitions, seminars and demonstrations of anything and everything relating to natural stone. Peter Harrison’s talk on stone detailing was particularly insightful. Leading on from the Natutal Stone Show is Marmomac to be held in Verona in September - Marmomac is the leading global event for the natural stone industry and represents the entire supply chain, from raw material to semi-finished and finished products, from processing machinery and technologies to applications of stone in architecture and design.